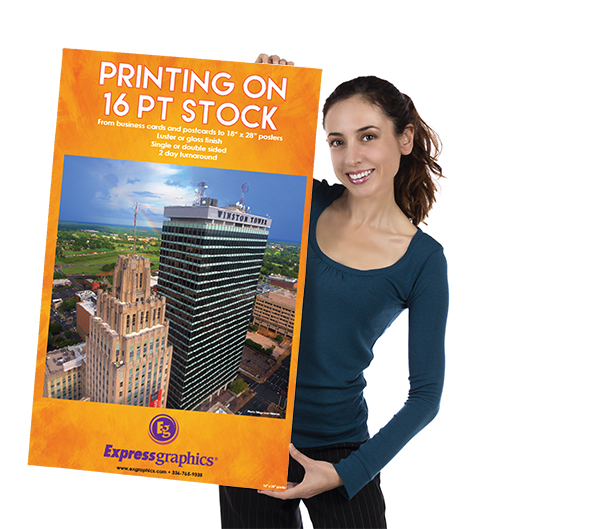 Full-color posters printed edge to edge on 16 point card stock. Your choice luster or gloss finish. When setting file up, please no bleeds or crop marks. Keep important type 1/8" in from edges.